Human Enhancement. What does this term actually mean? Why are some of us cautious about using supplements or technology to enhance ourselves? This has to do with the impact that one individual’s actions can have on the rest of society. Human enhancement brings about new opportunities and possibilities, but it also comes with certain risks. As the term suggests, human enhancement is about ‘enhancing’ or improving ourselves as humans. ‘Human enhancement’ can be defined as using biomedical technologies for other purposes than preventing or curing diseases. I personally associate this with biohacking, which refers to optimizing my life and my body by means of biology and technology. 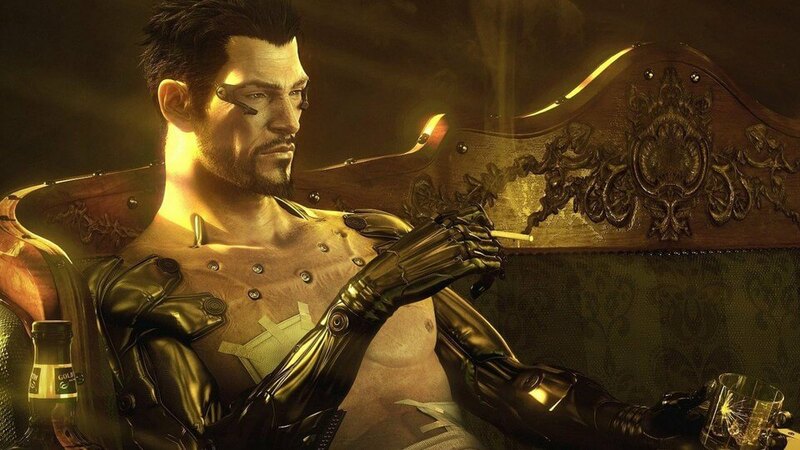 I also associate it with a computer game called Deus Ex (see picture). In this game, you can purchase all types of bodily modifications; better night vision, better stability for your hands, or mechanical legs that allow you to run faster. Essentially, the premise is that we can use technology to enhance ourselves. As a result of these new developments, we’re also starting to see our body as a piece of technology; something we can update or reprogram. What level of ‘perfection’ can we reach? What level of perfection do we want to reach? And what kind of consequences does human enhancement have on us, and our society? What kind of consequences do these developments have for our society? In November 2016, I organized a Meetup about Human Enhancement. After I gave an introduction, Jelte Timmer took the floor. I’ve known Jelte since the beginning of this year. 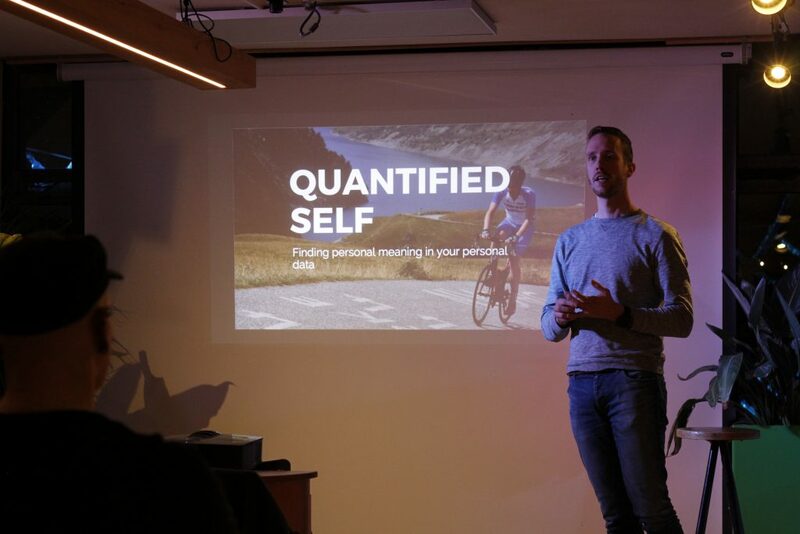 We were literally standing opposite each other at a ‘quantified self’ event at Pakhuis De Zwijger in Amsterdam. Jelte Timmer has been working as a researcher for the Rathenau Institute since 2011. He specializes in research about the social impact of digital innovations, such as persuasive technology, ‘internet of things’, smart mobility and big data. In 2012, the Rathenau Institute published a report on human enhancement. Jelte is one of the researchers that conducted this study. What are some of the biggest concerns that were mentioned in the report? One of the main concerns is whether the technologies we use are secure enough, and what the social consequences of human enhancement might look like. Will a new form of social pressure emerge, with people feeling forced to apply human enhancement? Will it split society into two different groups – the enhanced and the ‘naturals’? Rathenau Institute: Will it split society into two different groups – the enhanced and the naturals? These developments raise fundamental questions. Is it acceptable to intervene in the human body, in order to enhance it? As a society, we’ve accepted helping sick people get better and curing diseases. But what about enhancing people that are already healthy? On the other hand, these technologies could also bring about new possibilities and opportunities, both for us as individuals and for society overall. Do we really want to deprive ourselves of those opportunities? After I introduced Jelte as the next speaker during the Meetup, he shared his thoughts on intimate technology. “We’re moving more and more towards intimate and internal technology.” During the Industrial Revolution, technology was focused externally. Intimate technology, on the other hand, is focused internally and centered around humans. Human Enhancement is the use of technology to make a healthy person even healthier, a fit person even fitter, and a smart person even smarter. Thomas Douglas defined it as such in an article he published in 2008 (link at the bottom). More specifically, he refers to this phenomenon as ‘Moral Enhancement’. Using technology to cure sick people, is socially accepted. That isn’t considered ‘human enhancement’. What are some examples of human enhancement? Biology is slowly morphing into technology. Technology is slowly morphing into biology. This also corresponds with my personal definition of biohacking: optimizing my life and my body, by means of biology and technology. The contrast between those two is becoming less and less clear. Both biology and electronics can be used in ways that allow you to enhance yourself. Human enhancement can be classified into 4 different categories, ranging from non-invasive (outside the body) to invasive (inside the body). Outside the body + measuring. Outside the body + helping you improve. On or inside the body + non-permanent. Inside the body + permanent. #2 Outside the body + helping you improve. This category is similar to the first one, but apart from measuring and monitoring, technology is actively seeking to help you improve yourself. One example of this is Crystal, an online service that gives you advice about your social relationships and the way you communicate, based on your personal data. Biohackers that try to develop infrared vision, by taking certain supplements. Business people that take microdoses of LSD, in order to enhance their cognitive skills and get into the flow [link at the bottom]. Experiments where prisoners are given vitamin D supplements, in order to decrease their levels of aggression. This category of human enhancement does not just entail technologies that are physically inside the body. It also involves other forms of physical enhancements, such as passing low-voltage currents through your brain for improved focus and concentration. Taking microdoses of LSD to get in the flow? Passing low-voltage currents through your brain for improved concentration skills? #4 Inside the body + permanent. This refers to implanting electronics inside of your own body. I’ve personally done this as well; I had an NFC chip implanted in my hand [link at the bottom]. This category is widely used within the medical sector; examples include ‘deep brain stimulation’ for people suffering from Parkinson’s disease or people who are severely depressed. One method that is even more invasive than the previously mentioned forms of human enhancement, is the manipulation of the genes of a certain organism. This is also known as ‘genetic modification’, genetic manipulation or genetic engineering. Using CRISPR/cas9 technology, you can change key elements of the makeup of an organism – such as a human, an animal, a plant, bacteria or a virus. This could have far-reaching consequences, as these modifications could subsequently also be passed onto the next generations. In a way, natural selection could now hypothetically be replaced by artificial selection. Humans would be able to ‘play God’. In some cases, this could be justified. For example, there are hereditary diseases that are caused by just one gen, such as Huntington’s disease, sickle cell anemia and cystic fibrosis. Why wouldn’t we want to cure those diseases? It’s a different story, however, if we decide to use this technologies to change conditions that aren’t necessarily life-threatening. Consider changing the color of your eyes, slowing down the process of going bald, or even social interventions: changing the genes that are related to alcoholism or aggression. What’s our current perception of human enhancement? Which theories could help us think about this phenomenon in a constructive way? The public discourse about the social consequences of human enhancement is based on two main concepts: efficacy and desirability. Oftentimes, there’s an abundance of promises regarding the efficacy of new products and the effect they could have, while there’s a lack of scientific proof whether this is really the case. When it comes to desirability, proponents of using a certain technology tend to use individual (and liberal) arguments. Opponents, on the other hand, generally refer to social or religious arguments. In essence, it’s about the balance between the freedom of the individual versus the responsibility towards all of society. That’s what John Harris’ theory focuses on. Enhancing or improving yourself is fine, but what if your primary goal is to be better than everyone else? Our society doesn’t deem the use of doping in sports acceptable, for instance. Or consider the peer pressure that might emerge. That’s what Inez de Beaufort’s theory emphasizes. What if taking supplements to enhance your cognition actually becomes the new social norm? Will you still have the choice not to take those supplements? Professor Michael Sandel is a firm opponent of human enhancement. More specifically, he opposes genetic modification through CRISPR/cas9 and related technologies. He refers to these technologies as “promising and incredibly dangerous”. In a TV series called “De Volmaakte Mens” (‘The Perfect Human’), Sandel discussed the danger of a world in which anyone who isn’t a ‘superhuman’ would not be tolerated. I discussed human enhancement in relation to quantified self, at De Ceuvel in Amsterdam. How do people feel about Human Enhancement? In 2012, the Rathenau Institute conducted a study in the Netherlands in order to find out. They found that people were generally quite negative about enhancement technologies. They prefer getting rid of negative traits, to enhancing traits that are already well-developed. One example of this is cosmetic surgery: cleft lip revision surgery is regarded differently than getting botox injections. Although it does seem like the latter is becoming more and more accepted. This illustrates that, when it comes to human enhancement, what we deem ‘acceptable’ can change throughout the years. During a lecture at Fontys University of Applied Sciences in Eindhoven, professor Munnik (Tilburg University) and I had an interesting discussion about this. He presented an interesting example. During the Middle Ages, we had a completely different conception of privacy than we do now. In fact: privacy as a concept didn’t exist yet. Conclusion: social norms and values change throughout the years. The more invasive a given technology is, the more it becomes a topic of discussion. Brain implants are a more debated topic than nootropics. People tend to be less negative about enhancement technologies if they serve a social purpose. A surgeon that is able to perform surgery with increased accuracy by taking pills, is a different story than a soldier from another country being able to shoot with increase accuracy with those same exact pills. It’s in our nature to use technology to reach goals that we can’t achieve on our own. But it’s still a cause for public debate. If it becomes the norm for students to take pills for improved focus, shouldn’t we instead be looking at the underlying problem of academic pressure? The debate about the social consequences of certain technologies, and their desirability, is mostly taking place within academic circles. Popular media such as BNN, who cloned a dog (Pipo De Kloon) to get a public discussion going, can help expand the sphere in which such discussions are taking place. I talked to Professor Peter-Paul Verbeek, Twente University, in 2017 at a meeting of the Council for Health and Society. That’s where I recorded a video interview with him. According to professor Verbeek, we often sense a certain tension between humans and technology, as nearly every aspect of society (be it ethically, philosophically, legally, financially, demographically, etc) as we know it is challenged by technological developments. Professor Verbeek also wrote a book about technology ethics, which I later dedicated an article to [link at the bottom]. But it’s crucial to move past the supposed human versus technology dichotomy. The difference between humans and machines is growing smaller. We’re putting more and more of our humanity into technology. And we’re putting more and more technology into humans. What distinguishes us, as humans, from animals, is the fact that we use technology in ways that enhance us. Technology acts as an intermediary between the world and us as humans, through clothes (against hot or cold weather), glasses or contacts (to see), a car (to visit places) or the internet (to communicate and look up information). According to professor Verbeek we should continue to see the connection between humans and machines as a form of mediation, even with the emergence of new technologies. What other types of consequences does the increase in technology have on our lives and bodies? First off, technology influences our social life. Take social media for instance. This has a positive effect on the number of friends we have (quantity), but generally a negative effect on the quality of those friendships. Another consequence is the fact that, whether willingly or unwillingly, we are sacrificing a part of our freedom to technology. Take a navigation app on your smartphone for example; do you simply use this as an auxiliary device while you’re navigating somewhere, or do you blindly follow the directions? Another example is that algorithms get to decide which posts you see in your newsfeed on social networks. And finally, what about the moral consequences? Some people argue that technology in and of itself is a neutral tool, but that’s not exactly the case. The designers and creators of products and services do make certain moral decisions for us, both implicitly and explicitly. Take one of the most extreme examples: using brain implants to alter our mood. Can other people see that you’re using the device? How much control do you have over the operating system of the device? Can you leave the device on at all times? In designing these brain implants, the designers make certain choices. It’s clear that human enhancement raises a myriad of ethical and philosophical questions. How do we envision the connection between humans and technology? To what degree do we want to be dependent on technology? To what extent do we want to blend the lines between humans and technology? At what rate are these developments taking place? When can something really be considered human enhancement? Jelte Timmer: In the 20th century, we were very optimistic about new technologies such as autonomous vehicles. Now it looks like they’re really nearly here. The most promising developments aren’t the futuristic technologies, such as uploading your conscience, but the seemingly mundane ones that we use in our daily lives. Like the pace at which speech and voice analysis software is being developed. Or services such as Crystal, which I previously mentioned, which uses data provided to it by its users. It’s clear that human enhancement is incredibly interesting. In essence, it’s not about the new technologies themselves. The real question is: what are we planning to use those technologies for? And what kind of purpose do we not want those technologies to serve? How far can we go? Or rather: where will we draw the line? In his book ‘Homo Deus’, author Yuval Noah Harari outlines two scenarios. The first one has to do with so-called ‘techno-humanism’. This is somewhat similar to the concept of transhumanism [link at the bottom]. The idea behind ‘techno-humanism’ is to expand our capabilities as humans through the use of technology. In this scenario, we become cyborgs that are connected to computers, but our human needs and desires still remain the highest priority. The second scenario is called ‘dataism’. Within this scenario, humans still have a special and important role to play. However, it refutes the idea that we, as humans, are still the best equipped to process any kind of data. Algorithms have become better at understanding our feelings, emotions, decisions and desires than we are. As a consequence, we as humans will become irrelevant. Our only purpose will be to serve artificial intelligence [link at the bottom about other scenarios related to this so-called ‘superintelligence’]. In February 2018, I gave a presentation at the Health Business Week at Erasmus University, Rotterdam. My presentation was about human enhancement, with an emphasis on healthcare innovation. You can check out the slides below. In December 2017, I gave a presentation about biohacking, quantified self and human enhancement at The Ceuvel in Amsterdam. Would you like to find out more about this topic? Feel free to contact me if you have any questions! Please reach out if you would like to invite me to give a talk or presentation for a corporate event, conference or symposium. Take a look at my keynotes and presentations page for an overview of previous keynotes and presentations I’ve given. How do you feel about ‘human enhancement’? Leave a comment!